American Airlines does not expect to be able to restart the Boeing 737 MAX before mid-August. Following the crash of a Boeing 737 MAX8 with 157 deaths in Ethiopia in March, and a similar crash of a plane of the same type off the Indonesian island of Java in October, a general flight ban was imposed in mid-March. Since then, around 370 aircraft of this type have had to stay grounded around the world. Boeing is working feverishly on updates to the software in order to resume regulated operation as quickly as possible. 100 test flights have already been made for an update of the controversial MCAS control software, Chief Dennis Muilenburg said in an interview. 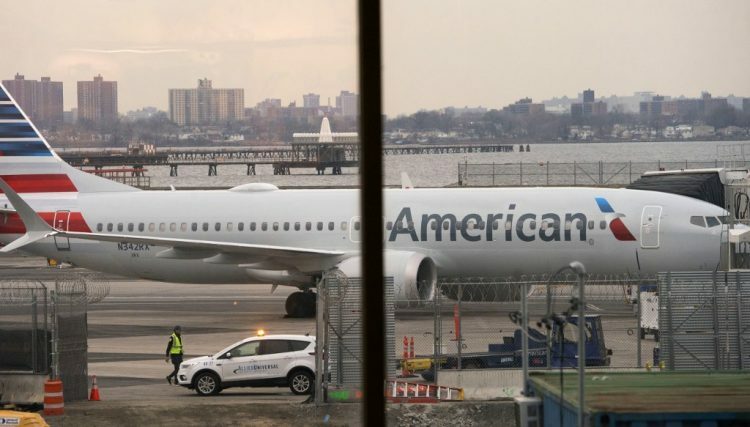 As a result of this ongoing ban on the Boeing 737 MAX, US airline American Airlines is canceling 115 flights per day in the coming months. Doug Parker stated on Sunday that this corresponds to approximately 1.5 percent of the flights offered daily in the summer. For now, American Airlines is not planning to launch a Boeing 737 MAX until August 19th. At the same time, Parker expressed his confidence in the machine, which had come under criticism after two aviation catastrophes. He hopes that the Boeing 737 MAX will get permission to fly again before 19 August. American Airlines has 24 machines of this type.